I am not yet set up to ship fish long distances but I will be able to pack up small quantities to travel home with you if you live around central Florida and perhaps even beyond. I will be getting Breather bag box liners that can transport small quantities of catfish or bluegill. Or you may bring your own containers. Your own container should be at least a 50 quart cooler for a single order of fish. If you want multiple orders, you need to bring a 150 quart cooler. The aerator can be a battery powered bait aerator or you can bring an inverter and aquarium air pump with air stones. You must either bring containers or pay for bags and boxes, I really can’t let you take fish home in your lap. I set the order quantities to what I think might safely fit in the bags for a short trip home. The breather bags are unique in that they allow gas exchange through the bag without letting the water out. They allow oxygen to transfer into the water in the bag and they allow carbon dioxide out of the bag so the fish do not need to be bagged up with oxygen. This has the benefit of allowing more water in the bag as well as minimizing sloshing during transport which is very stressful to the fish. The only drawback with the breather bags is that you can’t “FLOAT” them in the new system to equalize temperature once you get home since there is no air in the bag to keep it floating and the breather bags only work to exchange the gasses if there is breathable air on the outside of the bag. The fish will suffocate if you simply drop the full breather bag into the fish tank at home. They recommend opening up the bag and disposing of 1/3rd of the transport water and replacing with the system water, wait 5 minutes and repeat, and then wait 5 minute and repeat again and then finally net fish out of the bag and place them into the system. Another option would be to support the bag so it is only part way in the system water for 15 minutes (do not do this in the sun.) Then after the water temperature has equalized you may net the fish and place them into the system. Please use the contact tab to reach me by e-mail to arrange a pickup appointment to get your fish. If you do not wish to pay for the fish through paypal, I can take cash or check here at the farm, contact me to arrange an appointment to get the fish. Mosquito Fish will be available separately. Packaging, Shipping and transporting fish is expensive. These prices are to cover those costs. This price is per order of fish. You must either bring containers or pay for bags and boxes, I really can't let you take fish home in your lap. 2 comments to Need Fish For Your Aquaponics? aquaponics catfish and bluegill fingerlings. And I would like to know if you would be interested in making an attempt to send some of your fish to California for me, I believe the catfish should survive..yet im not sure of bluegill….please contact me if interested in expanding your business by trying! You can get both catfish and bluegill locally in California which will be better suited to your climate. I am not equipped to ship fish and there is a huge cost involved in packaging and shipping fish in water overnight and there are also state regulations to deal with that I am not familiar with since I only sell my local native fish locally here in Florida. 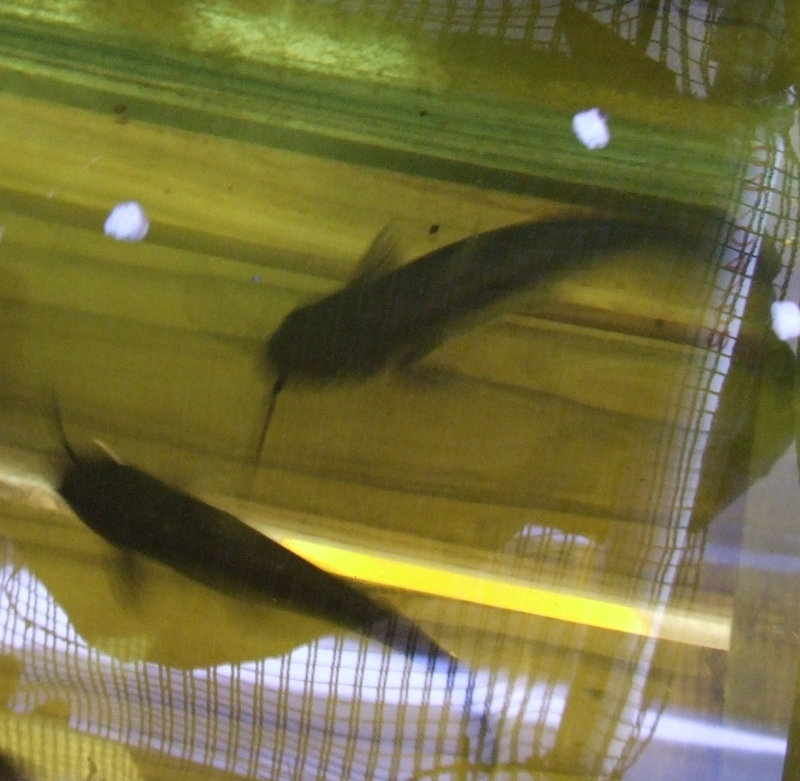 I recommend you look up fish farms in California to find locally appropriate native fish.